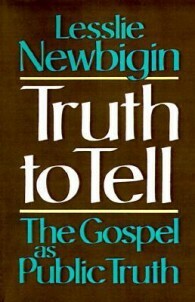 These excerpts are from Lesslie Newbigin’s Truth to Tell: The Gospel as Public Truth. They were originally assembled and posted on the website of Mars Hill Audio. Truth to Tell is available online in PDF. The book may be purchased here.